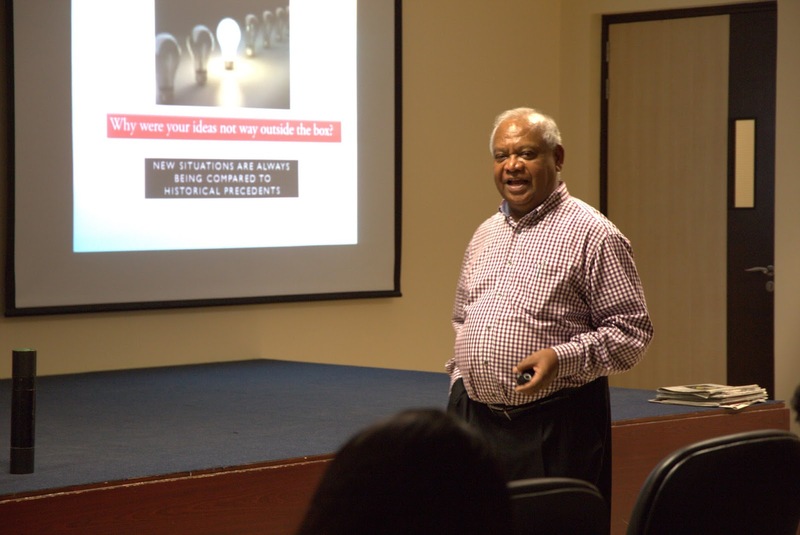 The School of Media and Communication Manipal University Dubai, had conducted a guest lecture for its final year and second year students, on the 15th of September. The lecture was specifically aimed at students specializing in Advertising and Event management. The speaker, Mr Sam Rufus, is the founder-director of EPIC which is an acronym for Enriching People in Creativity that conducts workshops on innovation and creativity for a diverse range of organisations and industries. He is also a postgraduate in business management, advertising and marketing, and travels widely within India and overseas conducting workshops on creativity. 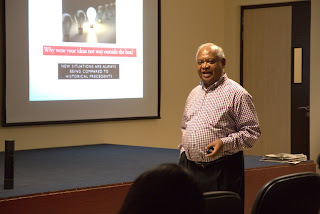 In his lecture with the students of Manipal Unversity, he spoke about how his own career began in Finance, and how he made a daring and risky switch to the field of advertising. He tried inspiring students to be different and spoke to them about positively engaging in the world of media. “His method of speaking was interactive and relaxed which made it different from regular lectures” says Sruthi Sreekumar, a second year media student. His session included activities like the black cylinder experiment which compelled the students to think outside the box and come up with interesting ideas. He spoke about ways to channel creativity into every aspect of life including work.